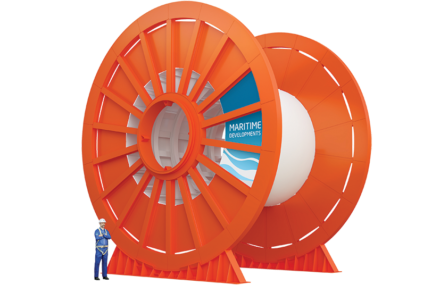 With Maritime Developments RDS, handling multiple reels becomes a seamless operation, delivering greater returns on shorter mission times. 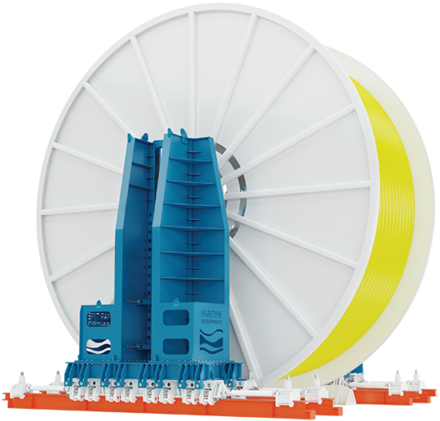 Designed with reduced mobilisation in mind, all of MDL reel drive systems are road-transportable, allowing re-assembly at the quayside before being lifted onboard the vessel. 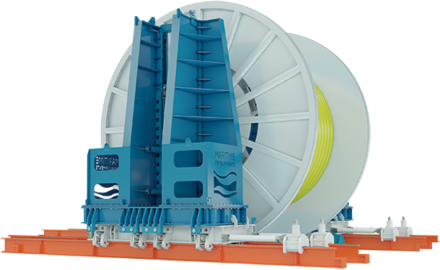 The installation on deck is made even easier with the third-generation system, featuring an integrated power unit as well as tracks with built-in reel cradles and reel rigging pad eyes, eliminating the need for the reels to be sea-fastened to the deck. 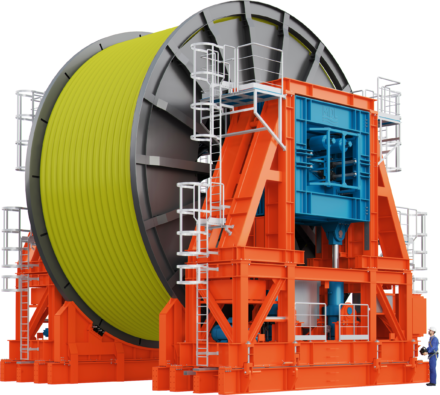 Automatic fail-safe clamps and an automated raising and lowering system, which negates working at height, are the other key features of MDL RDS, delivering an average saving of 4 hours per reel. 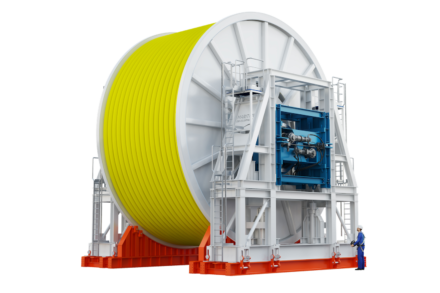 As well as reel drive systems, Maritime Developments delivers the full turnkey package of back-deck handling equipment including tensioners, overboarding chutes, spoolers, level winders, compensators and control systems. 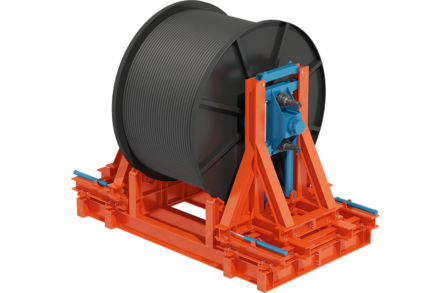 Our range of reel drive systems is designed and manufactured to comply with PUWER / LOLER requirements and can be CE marked. 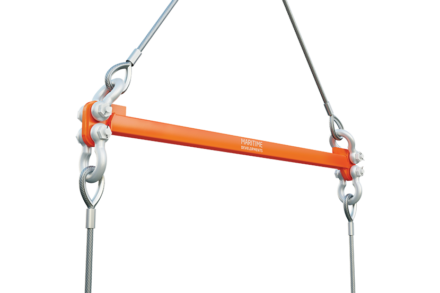 The control system is designed for safe product handling with data logging is a standard feature. 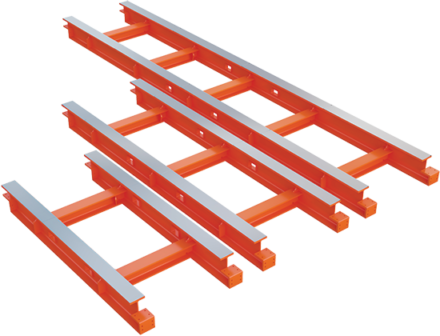 This ensures instant access to critical product lay information with the option to record the data.